A dynamic fourth quarter helped Khimki Moscow defeat Zalgiris Kaunas and keep its playoff hopes alives. 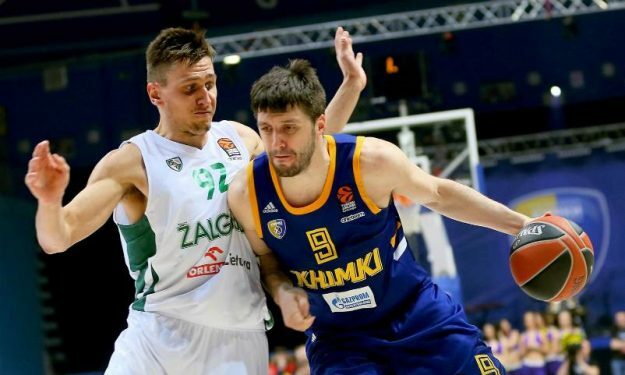 Khimki Moscow took a precious 74 – 64 win over Zalgiris Kaunas that keeps them alive in the postseason race. The two teams are now tied in the standings with an 8 – 13 record and two victories below the playoffs zone. “Zalgiris is a really good team. We played great defense. This was the key to the victory. We got some rebounds, which we had some problems with at the beginning of the game. When you play good defense and rebound, you always have success. I think we controlled the fourth quarter and we won,” Khimki coach Rimas Kurtinaitis said. It was Khimki that dominated the final decisive minutes of the match. With the score 59 – 61 in the mid of the fourth period, the home side made a 15 – 0 run to take the result they wanted. The total score of the last quarter was 27-8 in favor of the hosts. Jordan Mickey scored seven out of his game-high 20 points during that stretch. He also had nine rebounds while Malcolm Thomas added 16 points and eight boards. Tony Crocker dropped 14 points. “We just have the goal of making the playoffs and this was the first step towards it“, said Mickey. For Zalgiris, that was up 47 – 56 at the end of the third quarter, Marius Grigonis scored 15 points and Nate Wolters 10. The Lithuanian team finished with 14/38 2-pointers.